Its Music Jim; But Not As We Know It! When I was a teenager I was desperate to hang out with the ‘cool kids’ listening to the likes of Frank Zappa and Captain Beefhart and later on I’ve tried my hand at Jazz in all its formats; and I always come back to the traditional three chords and three minutes of popular music. In theory I receive too many albums to review that anything that ‘challenges my sensibilities’ goes straight into the Oxfam pile; yet this album has haunted me for nearly six months now; so here goes. 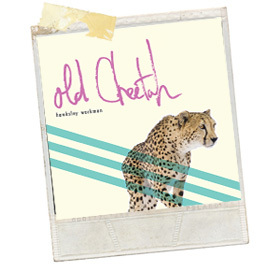 Old Cheetah is bonkers; stark staringly bonkers of an album. Nothing makes sense. Occasionally a tune will try to break free but Mr Workman finds it and hits it firmly on the head with a drumstick until it is barely recognisable as music. The album opens with a 22 second electronic cacophony entitled Intro; then a sub-Bowie (chorus repetitive) pop-Jazz noise-fest follows. Six out of ten listenings ended here. As a man of a certain vintage several tracks evoke memories of those quirky first generation videos that The OQWT used to accompany avant-garde Rock music by the likes of Tonto’s Expanding Headband and Tangerine Dream. The following day at school the A-Level stream would discuss them as if they had discovered a new Poet. I sat bewildered. I’m bewildered again now listening to the 9 minute ops – 1,000 Miles of Atmosphere. It’s not very atmospheric by the way. When I finally made it to track 9; It’s Really Starting to Snow a nearly normal song tries to break out; but it’s really just Workman poking fun at the likes of me listening to his album. Bizarre? Not ‘arf! The end couldn’t come quick enough after six weeks of false starts and when the last notes of the droning and God-awful A Special Pride oozed out of my speakers I breathed a sigh of relief as this Musical Hell finally came to an end. Was it all a joke? Was this Prog-Folk? Is Hawksley Workman a genius and the rest of know nothing about music? Who knows and indeed who cares. The pain is over; but I’m sure the nightmares this album has induced will continue.